IN THE years immediately following the Second World War, England was a country saddled with debt, in need of massive rebuilding and had a decimated population enduring food rationing. Yet even in such austere times, the privileged few still needed some way of splurging their wealth, and what better way than on the finest automobile in the world? Rolls-Royce had less demand for its aero engines after peace had broken out, so in 1946 introduced its first post-war offering: the Silver Wraith. The Silver Wraith utilised much of the chassis and engine technology found in the pre-war Wraith model, but the graceful and elegant new car still set a new benchmark for luxury and technology at the time. More than 60 years later we have certainly moved on in the technology department, but few cars in the intervening years have matched the Silver Wraith for style and beauty. 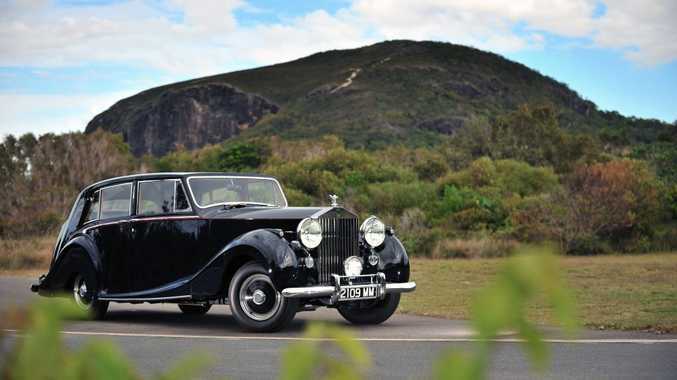 This 1950 example is owned by Member for Fairfax, mining magnate and local car enthusiast Clive Palmer, who considers the big Rolls one of his most prized from his vast collection. "It's one of the models that represented everything that Rolls-Royce stood for: classy, stylish and romantic," he said. "This is one of the best examples you will ever see of this model and we're delighted to have it on display (at the museum). I think it says a lot about the era in which it was built." So fond is Mr Palmer of the 64-year-old Silver Wraith that Palmer Motorama museum creator, Dylan Higgins, said its owner had been known to sit in the back of the classic for a few hours and make business calls. You can't blame the man. There can be few more salubrious places to conduct one's buying and selling than in the back of this Silver Wraith, with all the leathery space and comfort one could wish for, complete with ample polished mahogany wood for the trays and doors. There is less room for the front occupants, but this is strictly chauffeur territory. It's still a delight to sit up here however - your view filled with acres of mahogany and classy black Smith's gauges on the dash - but the floor-mounted gear stick is to the right of the driver making it awkward when climbing in or out of the driver's seat. Mr Palmer bought the Rolls from the Bentley dealership on the Gold Coast, where the immaculately restored model was kept behind a glass wall. 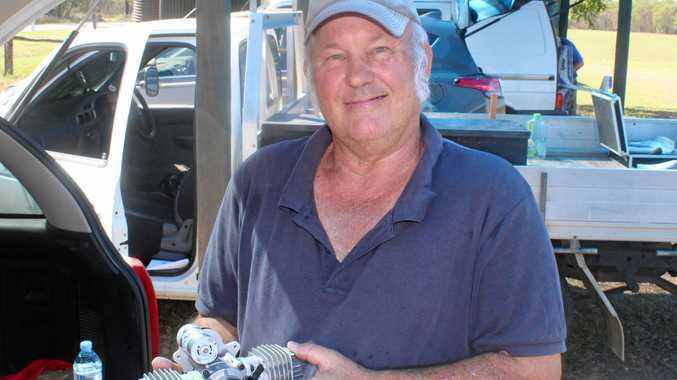 Since the motor museum has been open at the Palmer Coolum Resort it has been looked after by Mr Higgins on site, given regular once-overs and allowed to stretch its regal legs every so often. "Everything has been restored beautifully, and the engine just purrs," Mr Higgins said. "It is just so quiet, and has always started first time such is the quality of the car. Out of the 11 Rolls-Royces we have here this is the most meticulously restored, and Clive has a real soft spot for it." We've said it before that Mr Palmer does exhibit an impressive taste in automobiles, and with this gleaming Silver Wraith - resplendent with period black and silver British registration plate - he's not proved us wrong. Model: 1950 Rolls-Royce Silver Wraith. Details: Luxury four-door limousine produced in Crewe, England, between 1946 and 1959. Owner: Clive Palmer, Mount Coolum. Number produced: 1883 (including 639 LWB examples). Engine: 4.3-litre in-line six-cylinder producing 101kW. Transmission: Four-speed manual gearbox with floor shifter. Did you know? The Silver Wraith was the last Rolls-Royce to come in chassis only form. It was left to the customer to choose their own specialist coachbuilder to provide a bespoke body.